Fresh off a 55-22 victory over Olympic club, Life West comes into the game with a 2-2 record and currently sit in 4th place. A bonus point win could see them leap frog to 2nd place. Meanwhile Belmont Shore are in 2nd place with a 3-1 record having just defeated Santa Monica Rugby 19-3. A win could possibly propel them to 1st in the standings or at least put distance on the 3rd place team. 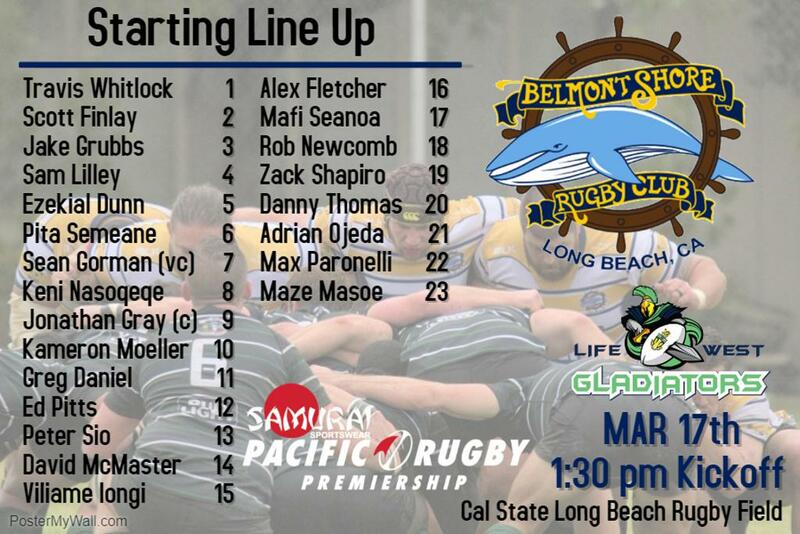 Kick off is 1:30 pm at Long Beach State Rugby Field.